Free shipping. Buy direct from HP. 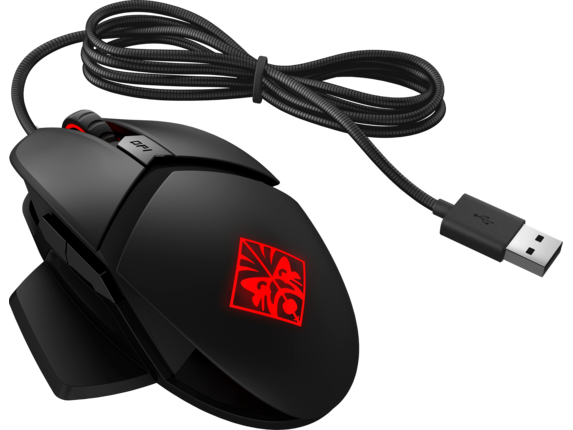 See customer reviews and comparisons for the OMEN by HP Reactor Mouse. Upgrades and savings on select products. Say goodbye to input lag. With industry-leading optical-mechanical switch technology, light beam detection enables a 0.2ms click response time—3 times faster than a traditional mechanical mouse switch. Respond quicker in-game, and enjoy extended durability with a 50 million click lifetime. Say goodbye to input lag. With industry-leading optical-mechanical switch technology, light beam detection enables a 0.2ms click response time—3 times faster than a traditional mechanical mouse switch. Respond quicker in-game, and enjoy extended durability with a 50 million click lifetime. An OMEN by HP Reactor mouse offers unrivaled tactility, delivering a long-lasting “like-new” feeling that just won’t quit. 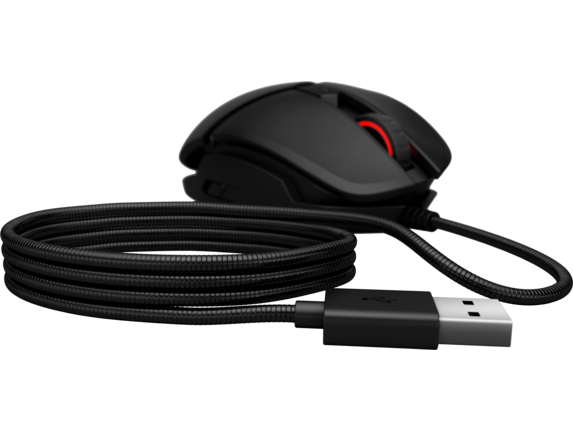 Measuring 1.64 x 3.15 x 4.82 in, this 5.6-ounce mouse fits into the average gamer’s hand comfortably for extended gameplay. The OMEN by HP Reactor mouse features optical-mechanical switches which maintain their tactile feel for over 50 million clicks. 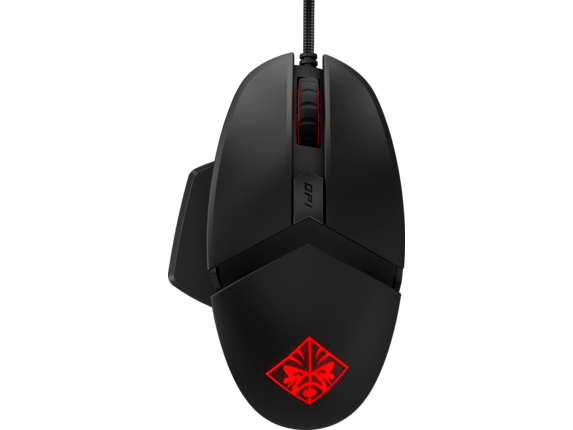 If you’re looking to complete your glorious rig, an HP Reactor gaming mouse is the accessory of choice. Developed with input from elite eSports players, no detail went overlooked. We kept every consideration of gameplay in mind, from its 0.2ms click response time to true 1:1 tracking that makes every click and swipe count. Experience better accuracy on your PC games than your thumb could offer on gaming controllers; the ultra-sensitive HP OMEN mouse will give you enhanced in-game vision, allowing you to detect and dodge threats faster than before. You need accessories that are as unique as your gaming style and original as your winning strategy. With customizable lighting, you’ll have unique lighting at your fingertips. Elite gamers stand out. Show off your style points with a blacked out OMEN Reactor mouse featuring the HP OMEN logo tailored to your specifications. Up the ante and pair the OMEN by HP Reactor Mouse with a next-level gaming mouse pad. Get the most out of your HP OMEN mouse with a proper mouse pad for gaming. The smooth cloth surface preferred by FPS professionals allows you to glide effortlessly across the pad in big, sweeping motions. When you want pinpoint accuracy, your gaming USB mouse needs a consistent and durable surface, and HP® delivers. These frictionless pads with non-slip rubber bases provide your OMEN by HP Reactor mouse with precise, controlled movements, turning your near miss into a flawlessly executed head shot.